Imagine that it’s Sunday morning and you are not in a hurry having all the time you need to prepare a comforting and delicious breakfast. Usually pancakes and waffles come into mind, don’t they? However, generally comfort foods go hand in hand with guilt as the conventional versions (even plant-based) are packed with fat, sugar and refined grains. I have great news for you – it doesn’t have to be this way! In fact, waffles as well as pancakes can be made a health food full of nutrients, that you could enjoy every morning if you wanted to. 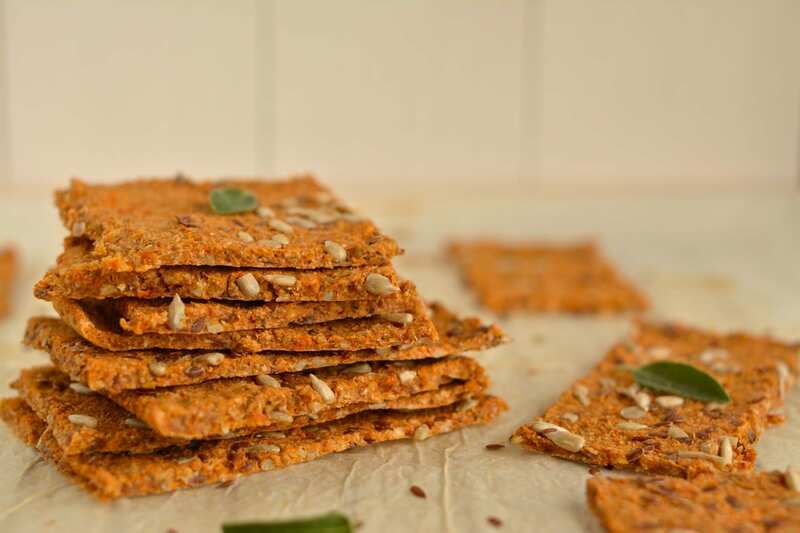 With this recipe I even went one step further using soaked buckwheat and millet groats instead of flours making the waffles more digestible and minerals such as calcium, iron, copper, magnesium, and zinc more available. 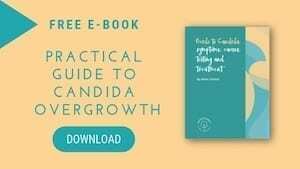 Soaking reduces or removes phytic acid (which reduces mineral absorption), releases the enzyme inhibitors that store nutrients while growing and prevents premature germination, and even boost vitamin B content. Now, if you start to worry about the possible fussy process, think again – it’s not something overwhelming to make waffle batter of soaked grains instead of flour. 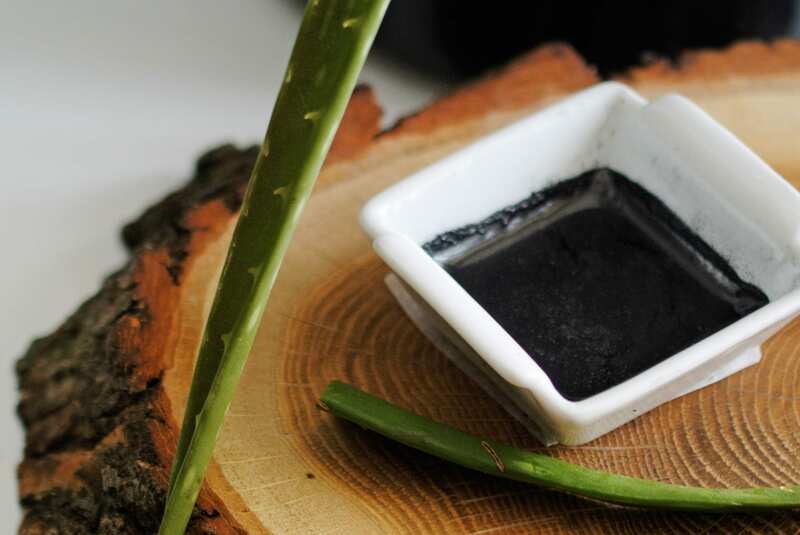 You just need a blender and remember to put the groats to soak beforehand – that’s it! I have to be honest – since I created my first flourless muffin recipe I hardly ever have flours at home. Should I need some, I grind them from rolled oats and buckwheat or millet groats. However, I have some whole grain spelt flour at home should I have craving for my plant-based spelt buns. 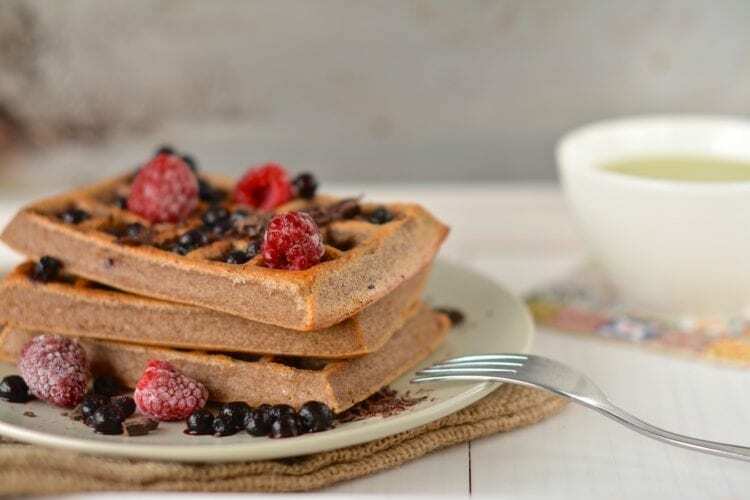 I also have a recipe for plant-based oil-free oven waffles using flours – you are more than welcome to try it out and decide which one you prefer. My buckwheat-millet oven waffles are not very sweet, as I prefer only mildly sweet things. The sweetness comes from banana and plant-based milk. Oat milk and rice milk are the sweetest without any added sweeteners whereas soy and almond milk usually have agave or some other sweetener in them. Should you be used to more sweetness, eat the waffles with dried fruit puree or any other whole food plant-based jam. 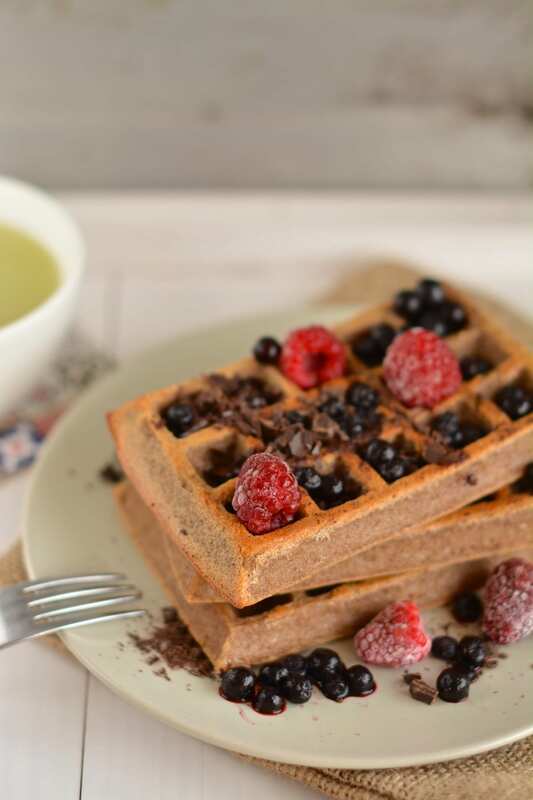 Healthy oven waffles make a perfect Sunday morning treat your family will long for. We have made it a tradition since I got the silicon forms and needless to say my hubby and kid are so happy about it. 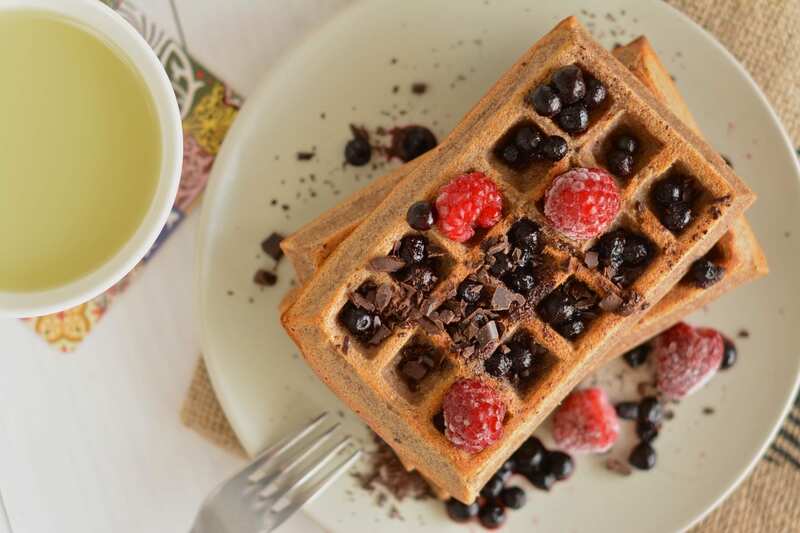 Those oven waffles are made of whole food plant-based ingredients using no oil (only a tiny bit to for greasing) or sugar. Soak buckwheat and millet overnight. Wash and drain. Heat oven to 220 C (425 F). Slightly grease the oven waffle forms – use a cooking brush or just your finger. Remember, just a tiny bit is needed. Place waffle forms on a baking sheet lined with parchment paper. Put all ingredients (EXCEPT baking powder) in blender and blend into homogeneous batter. When the oven has reached the right temperature, blend in the baking powder and divide the batter between waffle forms using ladle. Bake waffles for 20-25 minutes, until you see they are quite firm and golden. Remove from oven and let cool a bit. Put the waffles upside down on the baking sheet and remove from silicone form. Bake the waffles for another 10 minutes until they start to turn golden. If you don’t have silicon waffle forms, use regular waffle maker or pour the batter on two baking sheets lined with parchment paper. Bake for 25-30 minutes. Remove from oven and let cool before you start to separate them from the parchment paper. You’ll have sweet oven pancakes. The same batter can also be used to make hearty pancakes. You can easily replace millet with the same amount of buckwheat, should you not like millet or don’t have it on hand. Kuna mul polnud vorme, mida ahju panna, siis mõtlesin, et proovin ahju asemel vahvlimasinaga neid küpsetada. Sain teada, et selline variant ei sobi selle retsepti puhul, kuna tainas jäi vahvliraudade külge täielikult kinni. Kuigi ma panin isegi alla poole piimakogusest, oli tainas ülivedel, justkui oleks tavaline krepitaigen. Ma küll tean, et võtsin riski, et ei küpsetanud ahjus, kuid isegi ahjus küpsetatuna oleks see minu silma järgi liiga vedel tainas olnud. Kas ehk on retseptis piima koguse märkimisel näpuviga tekkinud? Panin täistera speltajahu ja õli tainasse juurde ning maitse oli vahvlitel iseenesest hea. Seda taigent saab ka pannkookide küpsetamiseks kasutada. Mul on kvaliteetne “kivi”pinnaga pann, kust tuleb kõik ilusti lahti ilma õlita.